Table for Two - Life is better when twins dine together! 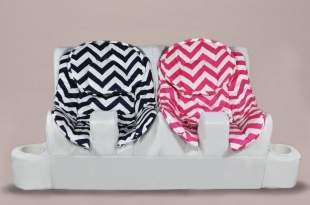 Keep an extra set or two on hand of these colorful, stylish and comfy cushioned seat inserts. 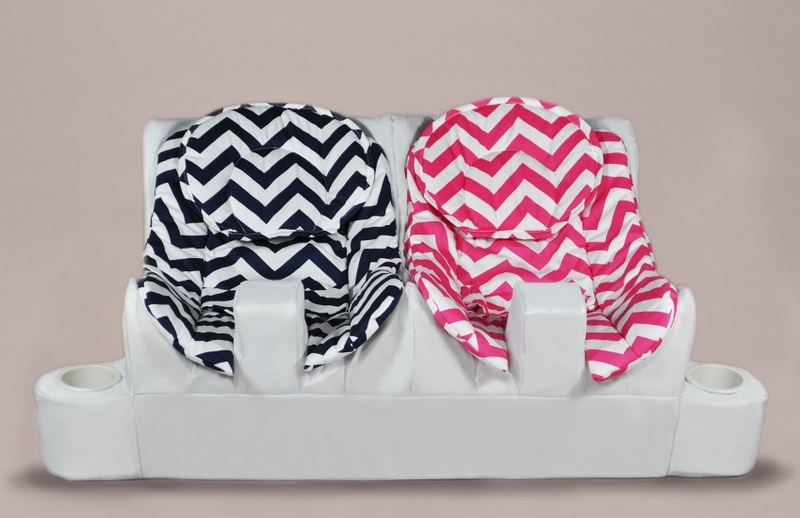 Made of 100% cotton, they are durable and machine washable. They simply velcro in for convenience and the headrests adjust to fit your babies' height. Sold in set of 2.